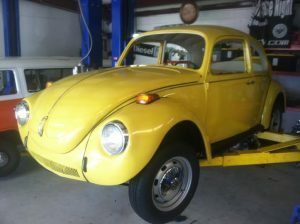 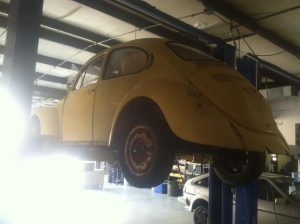 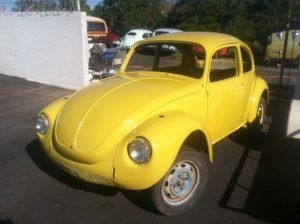 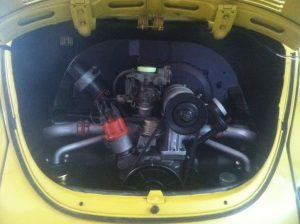 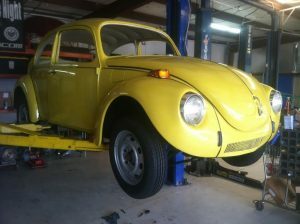 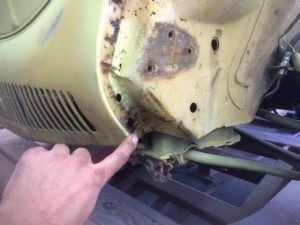 Susan’s Super Beetle restoration started as a typical condition daily driver, the body was soda blasted to get ready for patch panels. 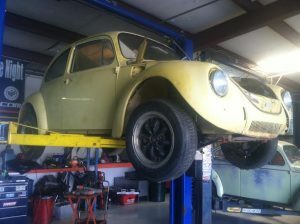 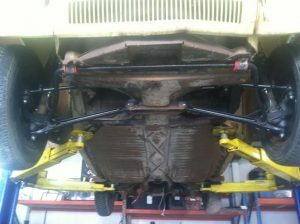 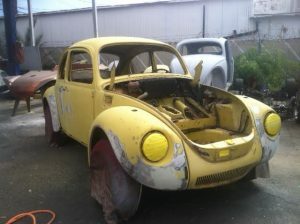 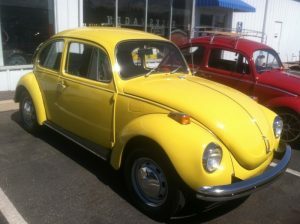 As with all of our Super Beetle projects the front end was completely rebuilt to improve ride, handling, and safety. 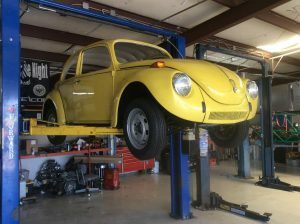 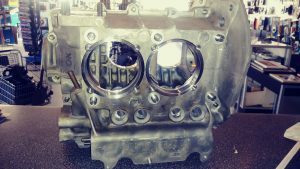 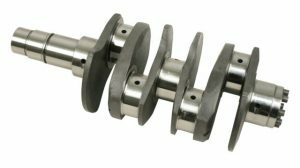 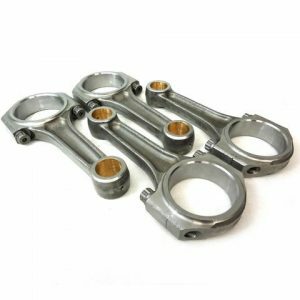 Use of urethane bushings, new high quality ball joints, performance struts, and a front disc brake conversion are first on the list. 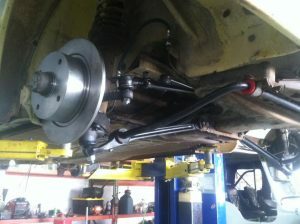 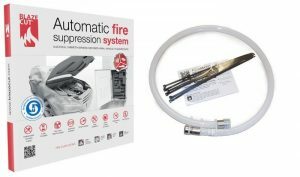 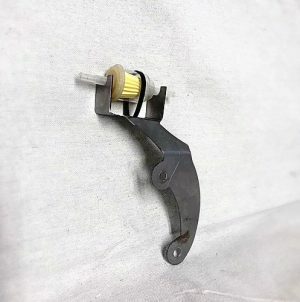 Along with the front Disc kit came new hydraulics for the entire brake system; new hard lines, hoses, master and rear wheel cylinders add peace of mind. 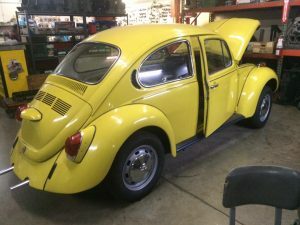 The interior was completely redone, seats were taken down to bare frames and all new foam was installed before being recovered with new seat covers. 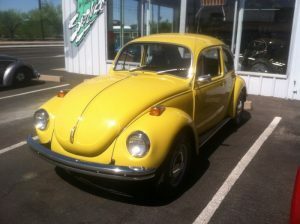 New carpet kit, door panels, headliner, dash, and 3 point seat belts add comfort and looks. 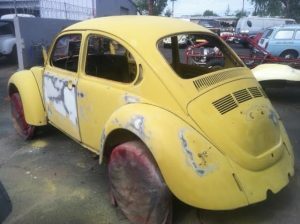 The body was then sprayed an eye grabbing yellow, all new window rubber and complete door seals and scrapers were installed. 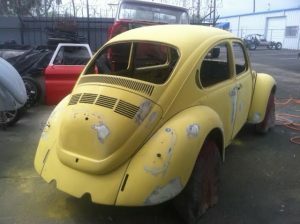 New bumpers and lights help round at the body finish. 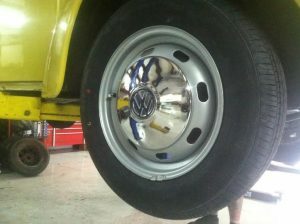 The repainted wheels and new chrome hub caps add some more finishing touches to this beautiful car.